Moving on from home ownership for ‘Generation Rent’ – Richard Ronald. The inequalities and inequities that housing markets generate have become a cross-national issue in the last decade or so. 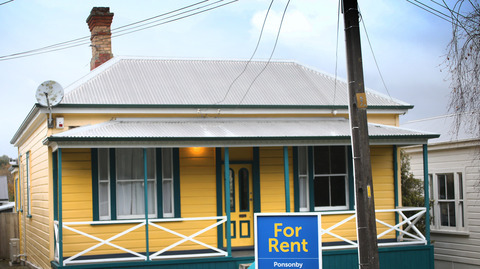 In NZ, Australia, the UK and the US, discussions of “Generation Rent” have taken centre stage. In the generational debate, older, asset-wealthy owner-occupiers advantaged by previously more stable lending conditions and historic house price trends have been pitted against younger cohorts. The latter have been priced out of the home buyers’ market and pushed into rental housing in ostensible perpetuity. Evidence of just what “Generation Rent” is and, more importantly, why it matters have, however, been somewhat fuzzier. One reason declining access to home ownership for younger people is of such concern is that housing is much more than housing. The wealth accumulated in our homes over our lifetimes has come to represent economic security and a means to live more comfortably in old age. It’s seen as a buffer in times of hardship – buying a home is an implicit part of the welfare system in many contexts. Declining home ownership is contributing to inequality. Governments have largely nurtured this. They often support or even fund the growth of home ownership and protect property value increases. It has become increasingly evident, however, that this approach to housing markets as a kind of welfare policy has fundamental limitations. For one thing, the global financial crisis of almost a decade ago demonstrated how deeply rooted and transnational housing finance has become. A welfare system that relies on home ownership in a globalised era is thus critically vulnerable. Although property markets work at a local level, global capital has become increasingly intrusive. Investment purchases are financed from around the world. While our homes function as our family savings accounts, housing now also serves as safety deposit boxes for transnational middle classes and wealthy elites. The global financial crisis also illustrated that the very conditions that may require home owners to draw on their property assets as an economic buffer are likely to undermine their value and make them difficult to access when needed. Since the crisis, housing has again become an overwhelming focus of investment, sustained by quantitative easing, weaker financial markets, and low interest rates. This is driving renewed inflation in house prices, especially in global cities, with overflows downwards and outwards. Buying a home is now well beyond the capacity of many among the increasingly vulnerable cohorts of younger people. They have also faced reduced job security, subdued wage rises, and diminishing access to credit. As a result, home ownership rates across English-speaking societies, but also elsewhere, have fallen significantly, driven by the collapse in home buying among millennials. While it is easy to blame globalisation (especially foreign investors) and dwell on the historic advantages baby boomers enjoyed, much of the problem lies with our housing systems and especially with our approaches to fixing them. Critically, by relying on home ownership and making homes default savings accounts essential to our long-term welfare security (in the context of austerity or welfare state retrenchment), we have come to depend on them for much more than housing. This is why Generation Rent represents so much of a challenge. It requires more than dealing with the supply and distribution of home ownership. It may require a complete rethinking of home ownership as a basis of our housing systems. The term “Generation Rent” is not particularly useful as it implies direct conflict between cohorts. In fact, the opposite is true. In recent years different generations within families have increasingly mobilised around their collective property wealth in the face of diminishing economic security. In the UK, around one in ten first-time home-buyers were getting help from parents in the mid-1990s. By 2005 this was up to 25%. And since the GFC the figure has soared to as high as 75%. The family assets invested in housing are undergoing profound shifts. At the same time, has been a remarkable shift in family deployment of assets. Numbers of private landlords increased from just over half a million in the early 1990s to around 2.2 million by 2015 (equivalent to almost one in ten households). This represents a remarkable boom in new landlords, owning just one or two extra properties, since the beginning of the century. Various studies suggest that house hoarding and “landlording” have become an extension of the home-ownership welfare strategy. Buying and then renting out an extra home represents an effective means of ensuring long-term security. It’s also something that can be drawn upon to help out, or even pass onto the kids. Generations, then, are not necessarily at odds with each other. There is little evidence that younger people directly blame their elders for their housing situation. In fact, it is older people that are most likely to help them out. Underlying Generation Rent is essentially a wider problem derived from the maturation of home-ownership systems in a diverse numbers of contexts, from Ireland to Japan. In the past, home-ownership rates and property prices boomed, supporting asset accumulation for particular cohorts. However, this created conditions for tighter access, which has undermined the tenure and reinvigorated low-level rent-seeking in the longer term. The outcome is not so much a polarisation between generations, but between younger people based on the housing market position, or strategy, of their parents, or even grandparents. The children of secure home owners are likely to eventually be helped out or inherit. The children of renters, over-leveraged mortgage-holders or ageing households who rely on their unmortgaged property to meet their own needs are likely to remain locked out unless they have a considerable income. In the context of continued flows of global capital and the normalisation of property investment as family welfare strategy, we cannot realistically expect that socioeconomic inequalities derived from housing or problems of access among younger people are going to be reversed. Governments have largely responded to declining home ownership by sponsoring access to credit or providing extra cash for potential home buyers. This has done little other than revive house price inflation and thus aggravate the affordability issue. Rental housing careers are likely then to become more common and last for longer. We therefore need better means to reconcile tenants’ needs with both housing and welfare practices. This will involve policymakers and politicians imaging other ways of “doing” housing that consider different types of households and life courses, tenures and housing ladders. Younger people themselves seem to be adapting to a post-homeownership landscape. While owner-occupation remains deeply normalised, household situations have become increasingly diverse. Sharing with friends or strangers has become much more common. In cities, this shift has started to stimulate private-sector responses, including large-scale purpose-built developments expressly tailored to the needs of Generation Rent. Previous PostWhy we should put ‘basic’ before ‘universal’ in the pursuit of income equality – John Quiggin. Next PostTrump Profits Directly From US Taxpayers – Robert Reich.